Born in Ankara, Turkey, 1935 of Turkish-Jewish parents. Received B.A. in Humanities from American College Istanbul, in 1954. Came to the UK the same year and trained at The Royal Academy of Dramatic Art. He graduated in 1956 and settled in London. After a brief career as an actor, he took up writing. He has written many television scripts; a film, The Primitives; and a stage play, From The Ashes of Thebes. He is the author of the following novels: The Pleasure of Your Death (Constable, 1972); The Last of Days (Bodley Head & Crown, US, 1983); Journey Through the Wilderness (Macmillan/Picador, 1989); Children of the Rainbow (Saqi, 1999), Young Turk (2004). Children of the Rainbow has received two prizes: the “Amico Rom” from the Associazione Them Romano of Italy (2002); and the “Special” prize from the Roma Academy of Culture and Sciences in Germany (2003). The French edition of Young Turk (Jeunes Turcs) received the 2007 Alberto Benveniste Prize for Literature. His new novel, A Designated Man, will be published by Saqi/Telegram in March, 2009. 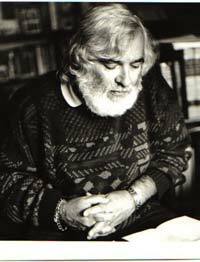 His poems have appeared in many British, US and European publications and in the anthology of 20th Century Jewish Poets, Voices Within the Ark (Avon, US, 1979). He has also published short stories in anthologies and magazines in the UK, the US and Poland. His essay, The Courage To Forget, appeared in Index on Censorship (Vol.24, No.2, 2005). Another essay, God Save Us From Religion, is included in the collection, Free Expression is No Offence (Edited by Lisa Appignanesi, published by Penguin Books, 2005) A third essay, All History is the History of Migration, given at the “Know Your Place?” Conference in November 2005, was also published by Index on Censorship in 2006. To date his works have been translated into Arabic, Dutch, French, Galician, German, Greek, Hebrew, Italian, Polish, Romanian and Turkish. For the past twenty-five years or so, he has campaigned, from the ranks of English P.E.N.’s Writers in Prison Committee, for writers persecuted and/or imprisoned by repressive regimes. During 1994-1997, he served as Chair of English P.E.N.’s WiPC; and during 1997-2000, as Chair of International P.E.N.’s Writers in Prison Committee. On June 16, 2001, in the Queen’s Birthday Honours List, he was appointed a Member of the Order of the British Empire (MBE) for “services to literature”. On November 2001, he was elected a Vice President of International P.E.N. He is a Fellow of both The Royal Society of Literature and The Royal Geographical Society. He is married to Nina Farhi (née Gould), a psychoanalytic psychotherapist, and has a step-daughter, Rachel Sievers, a speech therapist.